I’m NOT saying you can eat whatever you want, whenever you want it. But I do believe the most effective way to lose weight — and keep it off — is by having a positive mindset about food. The more often you tell yourself “no,” the harder it can be to think of anything besides the food you’re saying “NO” to — and that’s not the best recipe for success. The truth is, you can absolutely enjoy your favorite foods and still lose weight. But you have to be smart and strategic about how you do it. And that’s what the 2B Mindset is all about! 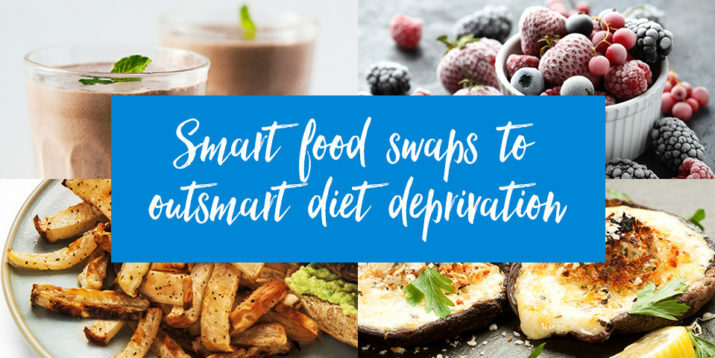 Here are a few of my favorite healthy food swaps — ideas you can use to treat yourself and say “YES,” so you feel full and satisfied and lose weight happily! Yes, it’s true! There are a lot of chocolates on the market today that can be really low in sugar while being high in healthy fiber and protein. Of course, my favorite choice is a thick and frosty Chocolate Shakeology that I like to top with an extra handful of cacao nibs. 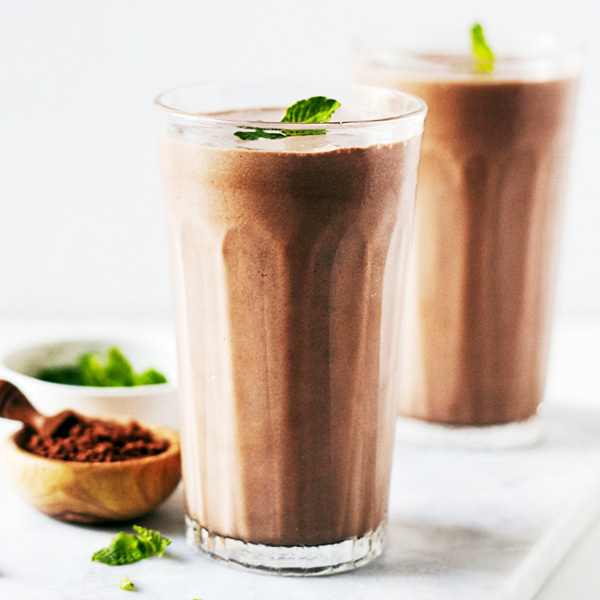 If you blend in some ice, it feels like you’re eating chocolate ice cream with sprinkles — with far fewer calories and less sugar — plus all the amazing superfood nutrien you get from every glass of Shakeology. It’s an amazingly purposeful, good-for-you treat! Are you a gummy bear, chewy candy-type person? If so, I’d recommend swapping them out for frozen fruits, like tart cherries, grapes, or even chopped mangoes. 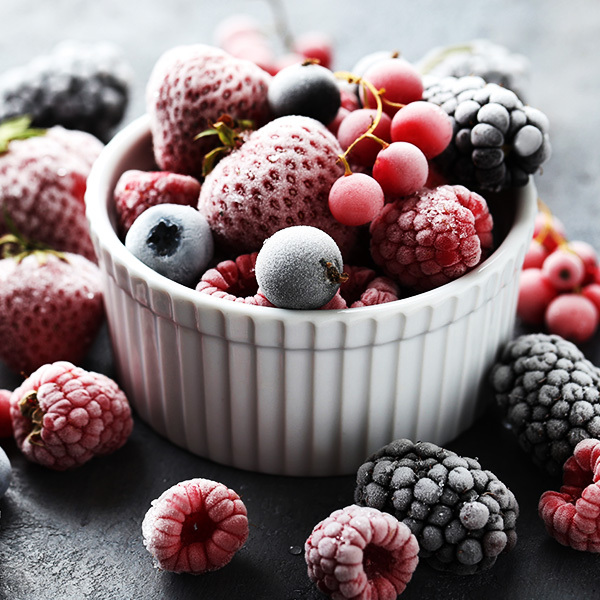 It couldn’t be simpler — just pop a bowl of any of these fruits into the freezer for an hour and you have an instantly satisfying sweet treat that has the chewy texture of gummy bears without all the refined sugar and calories. Plus, fruit has fiber and antioxidants you won’t get from sugary candy. 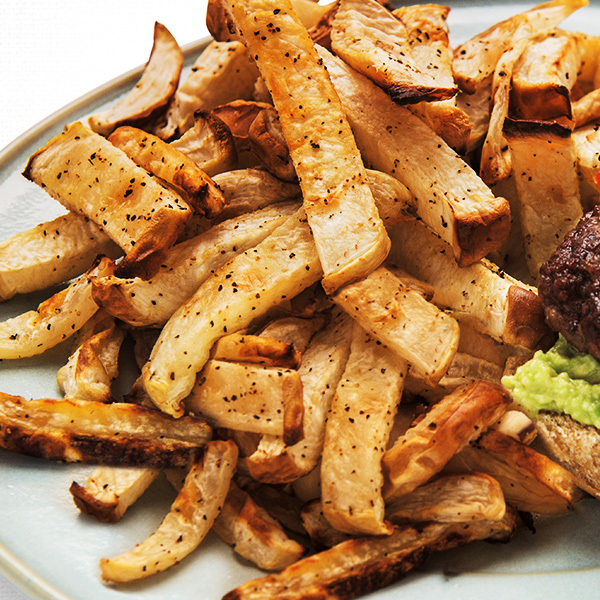 Just because you’re in weight-loss mode doesn’t mean you can’t enjoy crispy French fries. Try turnips or kohlrabi instead of potatoes — simply cut them up like fries, sprinkle them with a little olive oil or coconut oil, and season and bake them in the oven for an hour at 425° F until they’re crispy. I promise you’ll love the way they taste and the way they crunch — and they’re SO much healthier than the deep-fried version. No matter what, there are some nights when I just crave pizza! 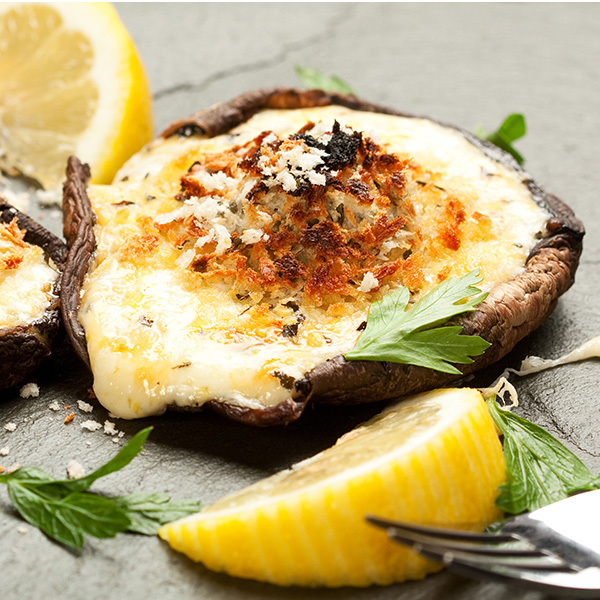 Just cut the stems off the mushrooms, put them on a lined baking sheet, and bake them in the oven for about 15 minutes at 300° F to soften the caps. Top them with pizza or tomato sauce and a couple of roughly chopped mozzarella cheese sticks, and pop them back into the oven. And in a few minutes, you have a delicious, veggie-based meal of melty, cheesy mini-pizzas. So easy, SO good, and veggies most! Telling yourself you “cheated” isn’t great for your mindset. Instead, shift your mindset and “treat” yourself. It’s OK to treat yourself once in a while. I want you to live your life. Instead of beating yourself up, enjoy it, track it, and move on, so you can clear your head and get right back into weight-loss mode. The bottom line? Losing weight shouldn’t feel like a battle that’s won or lost on a daily basis. Approach it with a positive mindset and you’ll discover your weight-loss journey can be fun and enjoyable, and it actually becomes easier — not more difficult — as time goes on!